This meal was prepared by a friend of mine for a 'quick bite' and it was so good that I had to share. Of course eggs may be odd to some for dinner but this meal is light and can be alternatively served as breakfast or lunch. 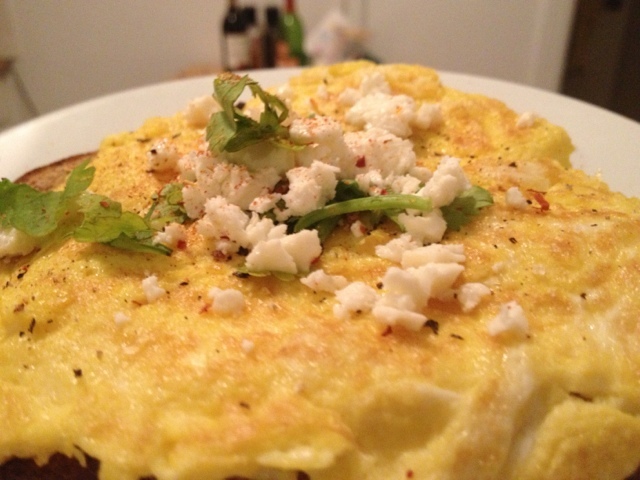 I always thought the combination of feta with warm food was strange but in this case it works very well. 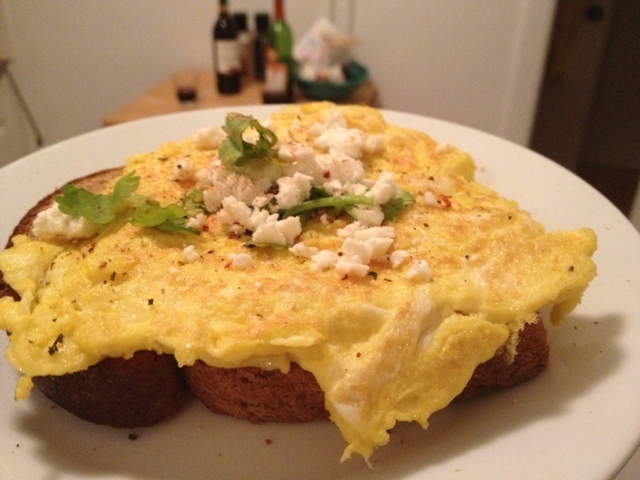 Prepare the eggs as a plain omelette over toast and garnish with spices of your choice and a teaspoon of crumbled feta cheese. Tastes great! For all those back at school today, hang in there! Friday isn't so far away!